Unlike investing, trading requires a very active approach to the financial markets. Rather than buying and holding assets to build wealth over the course of many years, a trader frequently buys and sells stocks, commodities, and other instruments to achieve higher returns. 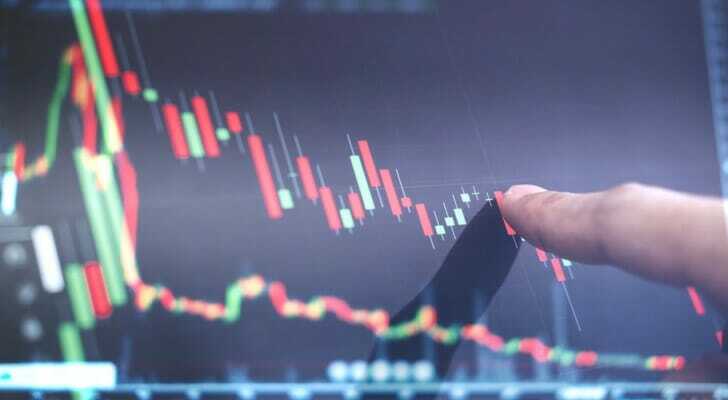 To guide their trades, traders use a variety of analysis tools like averages, oscillators, and indicators to help them understand how an asset or market is performing. One such tool is the relative strength index, or RSI. So, what is RSI? The Relative Strength Index is a technical momentum indicator. It measures the speed and magnitude of an asset’s recent price changes. This helps traders identify assets that are potentially overbought meaning they are trading above their true value or oversold, meaning they are trading below their true value. RSI was developed by analyst James Welles Wilder Jr. and introduced in his 1978 book, “New Concepts in Technical Trading Systems.” Welles Wilder Jr. called it the Relative Strength Index because it compares the strength of an asset on its up days to the strength of the same asset on its down days. Welles Wilder Jr. suggested collecting data from the past 14 trading periods (days). To this day, it is one of the most popular tools among traders. RSI values above 70 indicates that an asset is becoming overbought and the market is bullish, while an RSI reading below 30 indicates that an asset is becoming oversold and the market is bearish. An RSI of 50 represents neutral conditions. As stated above, RSI charts can help you predict how an asset or market will perform. In general, if you see an overbought, or overvalued, condition, you can expect that there will be a corrective decline in price soon. Oversold, or undervalued, conditions signal that a price increase could be coming. In other words, you should buy a stock when it reaches an RSI of 30 and sell or short when it hits an RSI of 70. Some traders use more extreme RSI values of 20 for buying and 80 for selling to play it “safe” with more volatile assets. If you want to confirm the trend reversal is happening, wait a little longer. Only buy once the RSI crosses below 30 then starts to rise again. Sell or short when RSI passes 70 then falls back below. Of course, it can’t be that simple. Markets aren’t that predictable, and each asset moves differently. Some remain oversold or overbought for a long time. While RSI is a powerful tool, it is much more reliable in a ranging market. In fact, it can send misleading signals in a trending market. No matter what the market conditions, you should always combine RSI readings with other indicators to validate reversal predictions. While it’s possible to do so yourself, a financial advisor can help you consider a wide range of market data in making investment decisions. RSI also help traders identify divergences, which is when the RSI reading does not match an asset’s movement. Bullish (or positive) divergence occurs when an asset reaches a new low in price, and the RSI value does not. Most traders take this as a signal to buy because selling momentum is slowing and the price will likely climb. Bearish (or negative) divergence, on the other hand, occurs when an asset reaches a new high in price, but the RSI value does not. This is commonly interpreted as a sell signal because buying momentum is slowing and the price will likely drop. Divergences should be used to confirm other signals and indicate when a trend may be ending. Last but certainly not least, RSI helps traders determine and confirm general trends. By trading in the direction of the trend, you can make more money. RSI can show patterns the underlying price chart cannot, like double tops and bottoms as well as support and resistance, that predict price changes further ahead. The Relative Strength Index is a powerful trading tool with many uses. It has remained relevant for more than 30 years despite market changes and the development of more sophisticated trading technology and tools. You can use it to predict market behavior and asset values, but RSI should just be one indicator in a comprehensive trading strategy. It’s also important not to confuse RSI with relative strength, which compares the performance of different assets. Intimidated by the thought of playing the stock market? You’re not alone. Many people who want to grow their wealth will put their money in the hands of a financial advisor, who can help you build a financial plan and choose investments that fit your goals and risk tolerance. Find the right advisor for you with our financial advisor matching tool, which will ask you a few questions and then match you with up to three advisors right in your area. Financial advisors do require minimum investment amounts. If you’re just starting out, you might not be able to meet that minimum. A good alternative for new investors is a robo-advisor, an automated service that chooses investments based on your goals and keeps your portfolio properly balanced. The post What Is RSI? appeared first on SmartAsset Blog.